A Lovely Life, Indeed: Happy 5th Anniversary to Us! Today is our anniversary...five years married, ten years together. We are blessed; it feels like yesterday. Time really does fly when you're having fun. Cheers to another year of love and adventure, of good health and lightness of heart. Cheers to our shared dreams and our shared path. Cheers to another year of wandering the world together and a lifetime of wonderful memories along the way. Happy Aaniversary Kelly and Antonio! And may your luggage tags continue with much travel and adventure in the years ahead! 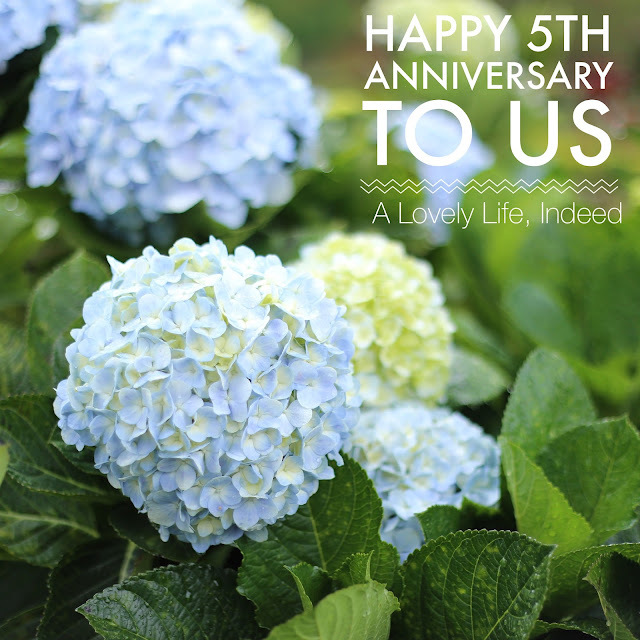 A huge happy (and belated) anniversary to you two! 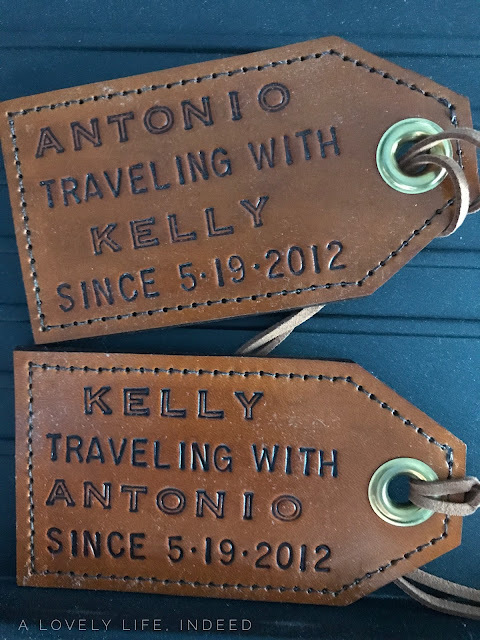 Heres to many, many more years <3 And lots more use of those luggage tags - too cute.